Washington, DC: Atheists are typically considered a minority, but when it comes to Twitter they have more friends, more followers and tweet more, a new US study has found. The research also found that self-identified religious users are more likely to tweet to members of their own faith than to members of a different one. "On average, we can say the atheists have more friends, more followers, and they tweet more," said Lu Chen, a doctoral candidate at the Wright State University. 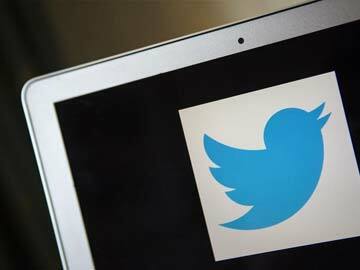 Researchers analysed more than 96 million tweets of over 250,000 Twitter users. They also studied the people they follow on Twitter and the users' own followers. Subjects were Twitter users who self-identified as religious or atheist in their profiles, and only those who said they lived in the US. Researchers compared them to a "baseline" group of Twitter users who expressed no religious identification. A tag cloud of the most commonly tweeted words across all the studied groups were "love," "life," "work" and "happy." "Human beings are not that different no matter who you believe in," said Chen, who co-authored the study with Ingmar Weber of the Qatar Computing Research Institute and Adam Okulicz-Kozaryn of Rutgers University-Camden. "People still care a lot about our daily lives; that is quite similar. Love, good life, we care about the world, we care about other people. It is the same," said Chen.